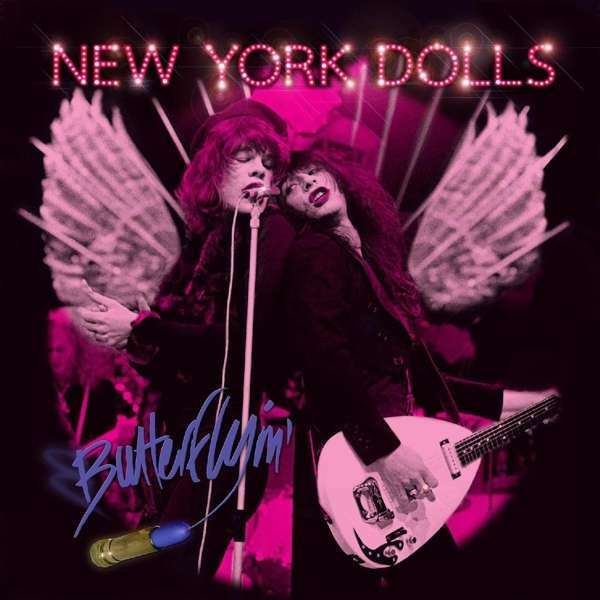 Der Artikel New York Dolls: Butterflyin' wurde in den Warenkorb gelegt. Rare live recording re-mastered and audio restored during classic Dolls period featuring the line up that recorded the two seminal Dolls albums plus a further 5 tracks from a U. S broadcast a few months after the concert. Liner notes by Dolls biographer Nina Antonia. Presented in card gatefold sleeve with stunning artwork. The New York Dolls are an American hard rock band formed in New York City in 1971. Along with the Velvet Underground and the Stooges, they were one of the first bands in the early punk rock scene. Although their original line-up fell apart quickly, the band's first two albums New York Dolls (1973) and Too Much Too Soon (1974) became among the most popular cult records in rock. The line-up at this time comprised vocalist David Johansen, guitarist Johnny Thunders, bassist Arthur Kane, guitarist and pianist Sylvain Sylvain, and drummer Jerry Nolan; the latter two had replaced Rick Rivets and Billy Murcia, respectively, in 1972. On stage, the New York Dolls donned an androgynous wardrobe, wearing high heels, eccentric hats, and satin. Nolan described the group at the time as »the Dead End Kids of today«.